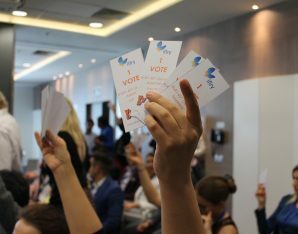 From March 22-24 the International Federation of Liberal Youth organized their General Assembly in Sofia, Bulgaria. IFLRY is the global umbrella organization of liberal youth and students organizations. Their central mission is ‘’Globalising Freedom’’ and in line with this, members from all across the world gathered in Sofia. Together they discussed resolutions, made amendments and decided on new membership applications. Besides this, there was plenty of room for seminars, debates and interesting conversations. The them e of the 45th GA was Liberal Pluralism, Diversity & Intercultural Dialogue. Sven Gerst, who is the Secretary-General of IFLRY, gave some interesting presentations on these topics. With these insights in mind, the attendants went into a lively discussion. 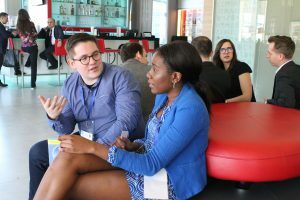 This formed the perfect occasion to learn about the perspectives from different countries and attempt to understand their obstacles and struggles. It was wonderful to see so many people from across the world who strive towards the same liberal goal. On behalf of IDI, I would like to thank everyone for their participation and dedication. A special thanks to the Bulgarian member party Movement for Rights and Freedom, who welcomed us in their beautiful country.